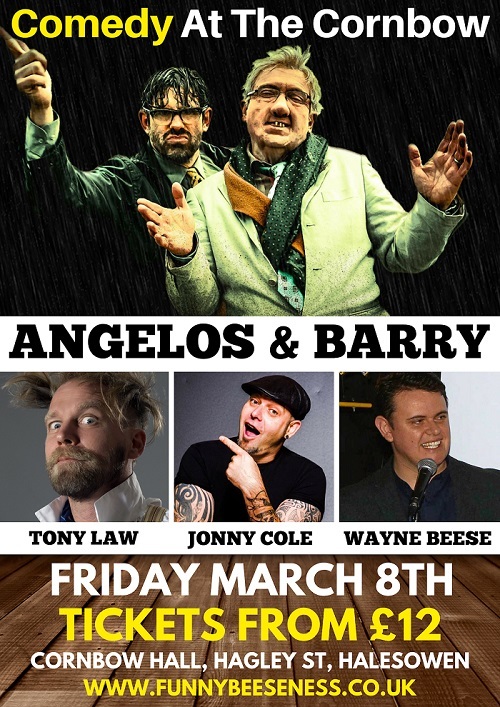 Angelos Epithemiou (BBC 2's Shooting Stars) and Barry From Watford (BBC Radio 2 Steve Wright Show) come together to discuss how to succeed in business, where they think corporations have got it right and wrong and the direction in which the financial sector is headed. But mostly they will be discussing the bookies, Londis, Crimewatch, their balls, if you can claim benefits in space, whether or not Kim Jong Un cuts his own hair and how Ban Ki Moon once nearly lost The UN in a poker game. Surrealist Canadian cult comic as on seen on Have I Got News For You, Never Mind The Buzzcocks and Russell Howard's Good News. Holds the record for the most encores at Funny Beeseness shows and has also got the odd standing ovation too. An incredible musical act who wows any crowd he is put in front of.